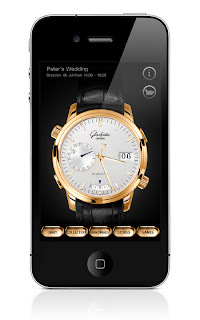 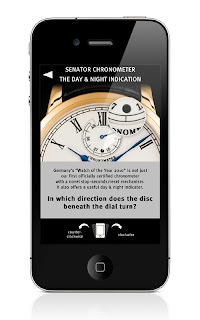 Glashütte Original has unveiled its first iPhone application for watch enthusiasts, dubbed “Senator Diary” after the manufactory’s timekeeper, the only mechanical watch allowing the user to set an alarm up to 30 days in advance. 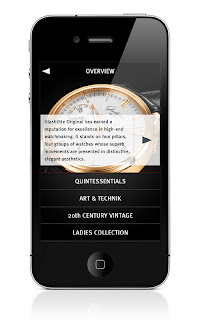 In line with this extraordinary complication, the Glashütte Original App provides much more than an interactive catalogue - a functioning Diary for your iPhone to remind you of those extra-special dates in your life. 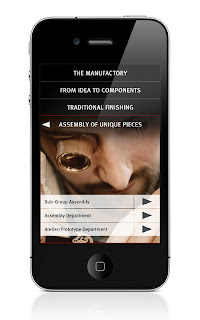 There is added value, too, in an interactive tour of the manufactory, and the games are both entertaining and instructive, inviting watch fans to take a closer look at the complicated world of high-end mechanical movements.